Watchout for Corndog, coffee cup man. Last night Locke and I jumped into the pit...Pit People to be precise. The upcoming turn based strategy game from Castle Crashers developer The Behemoth is a unique take on the tactical rpg genre that combines their famed art style and humor with a simplified and chaotic look at strategy. The game is still in early access on Steam, but we were able to take the two player co-op mode for a spin. And boy were we impressed. The game feels incredibly unique with a mix of loot collecting, RPG, and turn based strategy. You'll start in your base, pick and customize your characters and then head out into an open world towards different quest locations. Monster roam and create random encounters, but can be stunned in a sort of co-op shooter-lite, to hasten your path to your objective. Once in battle each players picks their moves, with the locations being lit up with an icon signifying the character class type set to move there. Both players then end their turns and all movement happens simultaneously. Check out the video below to see things in action, needless to say - Locke and I had a ton of fun. 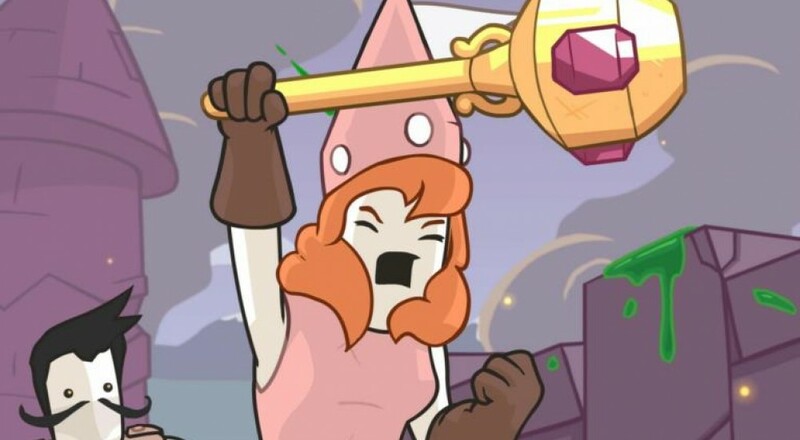 Pit People is currently in Early Access on Steam and is coming to Xbox One as well. No date has been set yet. Page created in 0.3314 seconds.